In recent years falls through fragile roofs and rooflights have been identified as one of the main causes of death or serious injury in the construction industry. In addition the act of walking over a glazed structure could cause microscopic damage that, over time, may have a detrimental effect upon the whole system’s performance. Roofs incorporating fragile assemblies constitute a ‘fragile surface’ under Regulation 2 of the Work at Height Regulations 2005 requiring appropriate safety precautions to be taken to comply with the legal requirements of Regulation 9 (utilising work equipment selected in accordance with the hierarchy detailed in Regulation 6) of those regulations. HSE’s Document HSG33 presents guidance on how to work safely on roofs and how to design and plan for safe working. It covers new buildings, repair, maintenance, cleaning work and demolition. It also gives guidance for those not directly involved in work on the roof, e.g. clients, designers and specifiers. ACR [M] 001:2014 ‘Test for Non-Fragility of Profiled Sheeting Roofing Assemblies’ is a test of an assembly rather than a product. 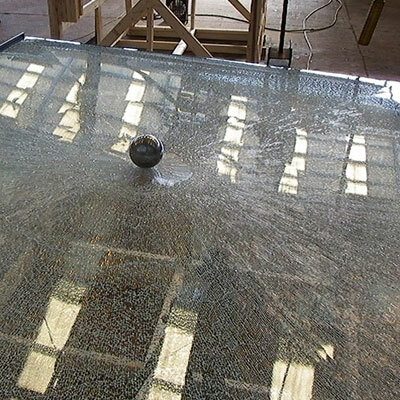 It represents a human impact incident on a roof surface, where falling through (the glazing) could result in death or serious injury. Tests are applicable to any large element roof assembly and any accessories, which may be fitted on it, e.g. rooflights and smoke vents, and are intended to provide information about whether the particular element can support the instantaneous loads imposed by a person stumbling or falling onto it. 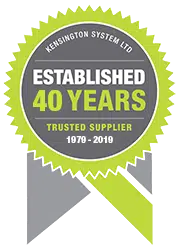 All Kensington Systems canopies have been tested in accordance with ACR [M] 001:2014.